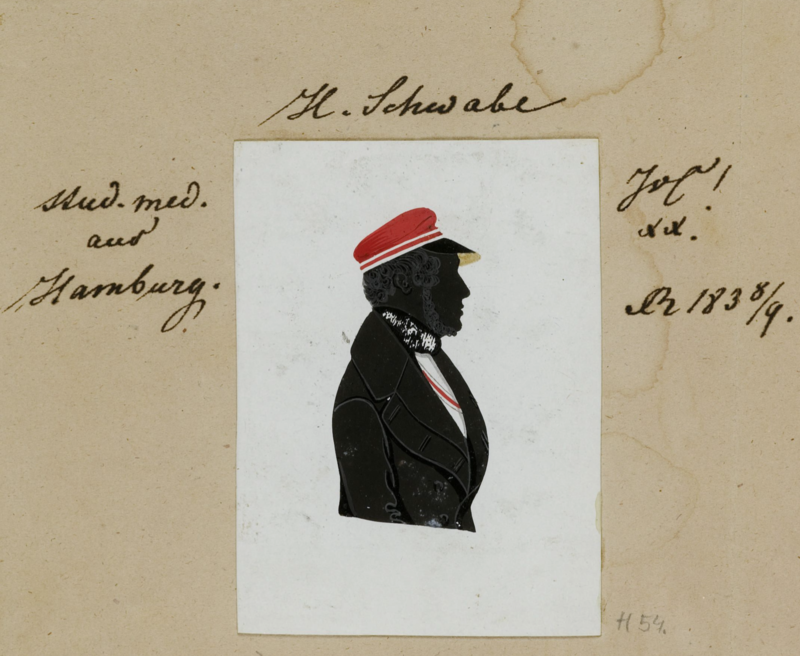 These Schwabe pages are contained on the Man Family web site because Fanny Maria Schwabe married Moritz Wolff and they had a number of children among whom was Ida Wolf who married Thomas May. 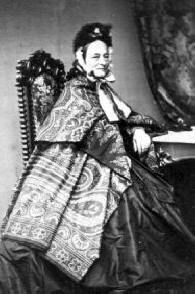 One of Thomas and Ida’s daughters, Eleanor Ida May, married Otto Loeck and one of Otto and Eleanor’s daughters, Nora Loeck, married Harry Man. The Schwabe family originated outside Berlin in the town of Dessau in Germany. Some of the family then moved to Hamburg, and at the beginning of the nineteenth century a succession of Schwabes emigrated to England, settling in Manchester. These pages follow the descendants of two brothers Philipp Benjamin (the father of Fanny Maria) and Samson Benjamin. For a summary of research on the Schwabe family please click HERE (<— in PDF) . Because of the high suicide rate among Schwabe family members a page devoted to this phenomenon can be seen HERE. Notes: Much of the genealogical information on the descendants of Philip Benjamin comes from the Hamburg state archives and in particular a typed up genealogy dated 23 February 1938. This document was probably produced to prove how long one’s ancestors had been non-Jews according to Nazi definitions. All five of Philip’s children were baptized on June 6, 1819 in Hamburg and so Philipp ‘s family left the Jewish community and they became Lutheran from that point on. In the Birth Registers at the Hamburg Staats Archiv, Philipp Benjamin and five of his children are grouped together in 1819, which is the time of their christenings not their births. The youngest son, Hermann Heinrich, was born in 1816 and christened in 1818. On November 24, 1819 Philipp Benjamin acquired Hamburg citizenship. In the citizenship papers he states that he had seven children. There is an ‘indication’ that Rosalie, his wife, was a widow at the time of their marriage and that she had two children already, this brings the total to seven for his household. According to the February 1938 genealogical file on the Schwabes, Rosalie Marie Levy, was baptized in May 1820. Thus the process of ‘Christianization’ covers a number of years. In the records of the Jewish community of Hamburg, there is also listed the dues paid by Philip Benjamin from 1814 through 1819, beginning at 400 (Marks, courants) per year in 1814 and 1815, then 1816 and 1817 at 334, and then 1818 and 1819 at 374. There is also an explicit note that he left the community in 1819. Was he taxed out of his religion? Philipp’s brother Samson Benjamin’s descendants are today represented, as far as we know, through two lines. 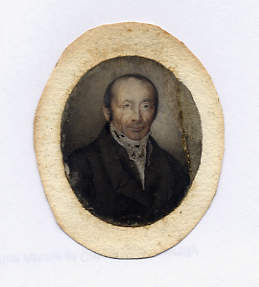 The first by his son Louis, whose silk factory in Manchester was among the most renowned, and second by Louis’s brother Stephan whose grandson Randolph headed the Slade School of Fine Art. 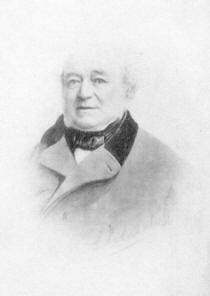 Louis Schwabe’s grandson, Louis Gustav, married his cousin Evelyn May who was Fanny Schwabe’s granddaughter. Other families of interest who have married into the Schwabe family and vise versa include: Ermen, Falcon, Cook, and Wolff. There are two distinct and unrelated families called Schwabe whose members emigrated to England. One Schwabe family, as we have noted, came from Dessau and it is this family that is described on these pages. The other came from Oldenberg in Germany and information on that family can be found in various sources. Both families had members who left for Manchester to set up cotton, silk, and calico factories, but despite their similar origins and many parallel experiences; the two are not in fact related. Gustav, brother of Fanny, had no children and so on his wife’s death his entire fortune was left to his nephew (his sister’s son) Gustav Wolff. A book was published in 1903 by a man named Guy Thorne called When it was Dark. The book tells the tale of a successful Jewish merchant living in Manchester, a German immigrant, called Schwabe (or Schuabe depending on which edition) who is a Unitarian and who undertakes a devilish plot to destroy Christianity! How does Schwabe intend to do this? Simple. A message, in the form of a clay tablet, will be discovered by a renowned archeologist in a tomb among the hills above Jerusalem. The message is from Joseph of Arimathea, admitting that he, Joseph, stole the body of Christ and hid it in this same tomb. So that when the disciples thought that Christ had risen from the dead, they were victims of a well-meant deception by Joseph of Arimathea. There had been no Resurrection. The body had merely been secretly transferred from one tomb to another. The entire Christian world had been the victim of this hoax. Schwabe manages to get the leading archeologist from the British Museum to authenticate the message by not only paying him a lot of money but also threatening to reveal the expert’s adulterous relationship. As a result of the finding all hell breaks out mainly in terms of assaults on women by bands of rampaging men. It is matter of debate as to whether Thorne was aware of the Manchester Schwabes, and if so which one(s) he may have had in mind. If he was aware, then it is unlikely to have been Salis since Guy Thorne lived from 1876-1923. Salis died in 1853, Louis I died in 1845, but Louis II not until 1922. Also, the Louis family was more closely associated with Manchester and Unitarianism than the Salis lot, most of whom had moved to London toward the end of the nineteenth century [i], while Louis II died at Manchester. The villain of the piece is called Constantine Schwabe (one of Louis’ daughters was baptized Constance but this may be stretching things). Who exactly Thorne had in mind when he created the devilish character of Constantine Schwabe we will never know. In 1973 Claude Cockburn, the British journalist, wrote an interesting article on this novel (The Horror of it all). To view my summary of the book in PDF click HERE. A few names may be mentioned Mendel Albrecht, merchant, who lived at 11 Mulberry Street ; Solomon Levi Behrens, whose warehouse was in Back George Street, and who lived at 10 Mosley Street; G. J. Cohen, Merchant, of 17, Lloyd Street; S. A. Liebert, whose warehouse was in Bow Lane ; Louis Magnus, another merchant who resided in Mosley Street ; N. P. Nathan, whose first place of business was in Sounding Alley ; Israel Elias Reiss, who resided at 32 Fountain Street ; and P. B. Schwabe, whose connection with the Manchester trade of those days was a forecast of the high commercial position attained in later years by other members of the same family. One result of this great accession of new members was the decision to build a place of worship. A piece of land in Halliwell Street was purchased, and in 1825 the new synagogue was opened. Between 1820 and 1832 P. B. Schwabe is listed in the Manchester Rate Books as occupying a commercial building in Red Cross Street.